When considering a platform for a website there are many different factors to consider. Lets get an understanding of what WordPress is. In the past WordPress was considered to be simply a blogging platform. This is no longer the case and generally anyone who still thinks this way, more than likely just doesn’t understand how to use WordPress correctly. WordPress has become the most widely consumed open source platform with over 27% of websites on the internet making use of this CMS. Simply put, it is a Content Management System (CMS). What does that mean? It means that administrators are able to load content into the admin panel and save it for the world to see. WordPress is a flexible, powerful and a scalable solution for almost any type of website. Be it a simple company website or a large eCommerce shop. WordPress can cater to the majority of requirements. WordPress is only as strong as the processes the site administrator follows. With any open source software, vulnerabilities will be found. Keeping a website up-to-date with the latest updates from the WordPress team means the risk of these vulnerabilities is reduced or removed entirely. Security flaws generally are caused by companies not following the correct guidelines on maintaining their website. It is no different to maintaining a vehicles. If a vehicle requires a service but these services are skipped, you cannot be shocked when your car eventually breaks down. We definitely recommend taking advantage of plugins. That being said, we recommend taking advantage of plugins written by premium or reputable developers. Many novice developers will go “plugin mad” and install hundreds of plugins to satisfy a simple functionality request. This type of development process should be avoided as it can cause performance issues and open up security vulnerabilities. 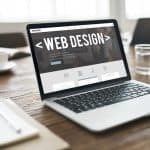 Is it right for your company website? Support – It is widely supported by website developers. Whether or not you decide to keep your existing development company or use a freelance web developer. User Friendly – It is really easy to use and makes updating your website content simple. That means, anyone in your company would be able to implement changes without paying a development company to do it for you! Flexibility – The platform will grow with your business. Many content management systems will do the same but because it is the most widely used CMS, there are already many plugins you can take advantage of to fulfill your needs without reinventing the wheel. It makes up 30% of the top 1000 websites globally. There are over 50 languages available on the platform. 27% of the internet’s websites are built with WordPress. 48,500 free plugins are available for download. It is the most supported platform. If you want to know more click here to visit wordpress.org or simply want to discuss your requirements, then get in touch today and we will get you started!